The family, though it has a biological origin, is in civilized communities a product of legal enactment. Marriage is regulated by law, and the rights of parents over their children are minutely determined. Where there is no marriage, the father has no rights, and the child belongs exclusively to the mother. But although the law means to uphold the family, it has in modern times increasingly intervened between parents and children, and is gradually becoming, against the wish and intention of law-makers, one of the chief engines for the break-up of the family system. This has happened through the fact that bad parents cannot be relied upon to take as much care of their children as the general feeling of the community considers necessary. And not only bad parents, but such as are very poor, require the intervention of the State to secure their children from disaster. In the early nineteenth century, the proposal to interfere with the labour of children in factories was fiercely resisted on the ground that it would weaken parental responsibility. Although the English law did not, like that of ancient Rome, allow parents to kill their children quickly and painlessly, it did permit them to drain their children of life by a slow agony of toil. This sacred right was defended by parents, employers, and economists. Nevertheless, the moral sense of the community was revolted by such abstract pedantry, and the Factory Acts were passed. The next step was a more important one, namely the inauguration of compulsory education. This is a really serious interference with the rights of parents. For a large number of hours on all days except holidays, the children have to be away from home, learning things that the State considers necessary for them to know, and what the parents think about the matter is legally irrelevant. Through the schools, the control of the State over the lives of children is being gradually extended. Their health is cared for, even if their parents are Christian Scientists. If they are mentally deficient, they are sent to special schools. If they are necessitous, they may be fed. Boots may be supplied if the parents ‘cannot afford them. If the children arrive at school showing signs of parental ill-treatment, the parents are likely to suffer penal consequences. 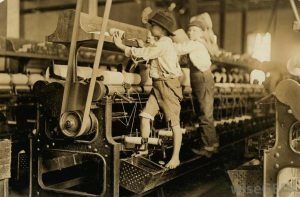 In old days, parents had a right to the earnings of their children as long as their children were under age; now, although it may be difficult in practice for children to withhold their earnings, they have the right to do so, and this right can be enforced when circumstances arise which make it important. One of the few rights remaining to parents in the wage-earning class is that of having their children taught any brand of superstition that may be shared by a large number of parents in the same neighbourhood. And even this right has been taken away from parents in many countries.